“The Beatles In Minnesota” – A Photographic History Of The Only Concert The Beatles Ever Played In Minnesota – Signed by Author! This 48-page book includes 26 of these rare historic photographs, in commemoration of the 50th anniversary of the original concert on August 21, 1965, as well as other photographs, the real story of the concert, and photos of rare memorabilia from this show. 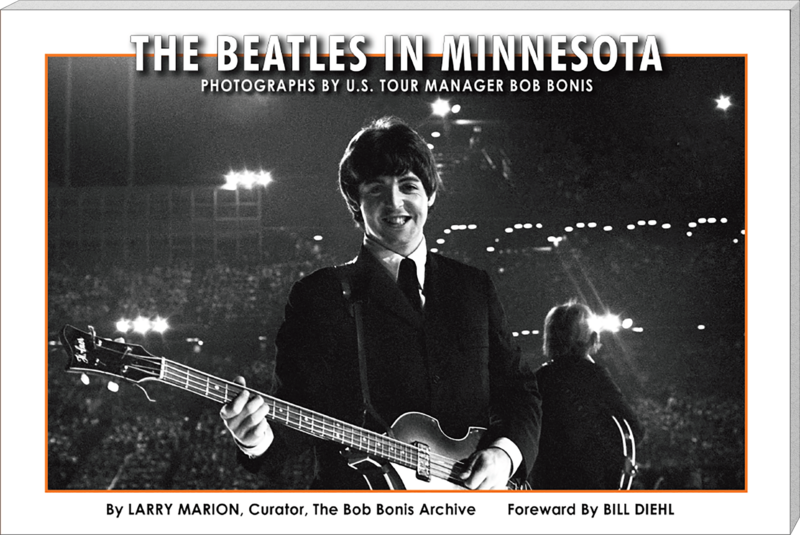 Includes a Foreword by legendary WDGY DJ Bill Diehl, who introduced The Beatles on stage the night of the concert in 1965.